Pros: This card is still pretty awesome. 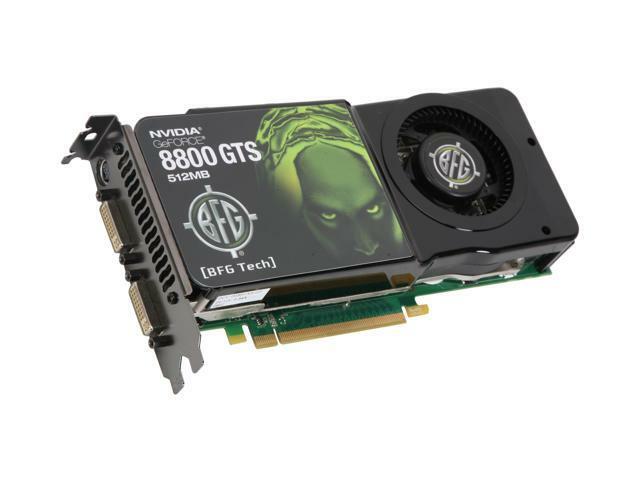 Im playing WoW,Battlefield 3(when it will connect) and several other games with this card. Running frame rates in the 80s on WoW. Cons: None to speak of. Memory could have been more.But I bought this card in 2008 ! Other Thoughts: Still rockin it..Great card. Pros: At the time of ownership, for its gaming purposes (2008), it performed very well. Elder Scrolls with the enhanced textures pack, BF2132, Half-Life episodes, F.E.A.R etc it provided exceptional graphics quality with high frame rates (60+). Cons: With the standard heat-sink and blower design this card is very bulky. It will eat two pci slots without any trouble. The blower design makes the card loud and run very hot even at idle. Other Thoughts: Like the cheesy heat sink fan combos that come with CPU's the standard blower design included on this card is not the best solution. After a few years I replaced the blower with a low profile heat-pipe based radiator cooler that uses two thin 90mm fans. This brought my idle down into the ~40C and at full load it never peaked over 55C. The noise level was cut out almost completely too. Now that BFG is no longer with us :( the life-time warranty violation for this mod doesn't matter. It is now 2013 and my card is still running on a Linux system that I made out of old computer internals from my previous builds. This version can be BIOS hacked and made to flag as a Quadro card. The quadro drivers will then install in windows and give you the enhanced application performance at the driver level should that be desired. For my uses, I didn't want to risk bricking the card so I haven't done this. I might in the future since Nvflash can recover bricked devices. Overall this card has never let me down. Pros: Great card when working. Crysis in gamer settings runs great on one card. Other Thoughts: Bought two of these to run in SLI mode. Started getting driver errors right out of the gate. Worked with Nvidia for two weeks for them to tell me that my hardware was bad. I bought an entirely new system and put these cards in. Same problem apon booting up the computer. Turns out is was a bad card. So after working with BFG for a week they are going to RMA it. Paid 14 dollars to ship it back to them and I will have to wait until they decide the card is bad, then I have to wait for them to decide if it can be fixed. If it cant be fixed then they will send out a new card to me. So I paid for a card I wont even get to use for two months. I will never buy a BFG card again and would suggest you do not buy this card. Cons: is not as fast as the 280 but who cares ? Other Thoughts: to the person who gave this card a 1 star a few reviews ago, you should have gotten hold of newegg if your card was defective. you would have gotten an RMA for it, and even if you did have to pay shipping to get it back wouldnt have been much. I have dealt with Newegg for over 6 years now and have never had any problem with their customer service. Cons: None! Took them well over 2.5 years to die! Cons: 1.Looked like an opened item. 3.Was expensive when I purchased. Paid $370 back in 2008. Pros: 1.Works great and handles many recent games very well, and provides playable, reliable frame rates at 1280 x 960 for most games. Cons: 1.Super expensive back when I bought it. Pros: None. Or more accurately, I'll never know because customer support didn't seem to care. Cons: Product was defective. Called BFG who rudely told me that they would send me a replacement. Told me I would have to pay shipping even though the product was defective and just purchased. When I complained, the told me that Newegg sells refurbs as new products and told me that newegg was generally unreliable - found that offensive as someone who has knowledge about the tech world. The company generally had no compassion. Tech support is rude at best and implied that they didn't want my business. Other Thoughts: I was very turned off by a company that had so little compassion for their customers. Would not buy from them in the future.